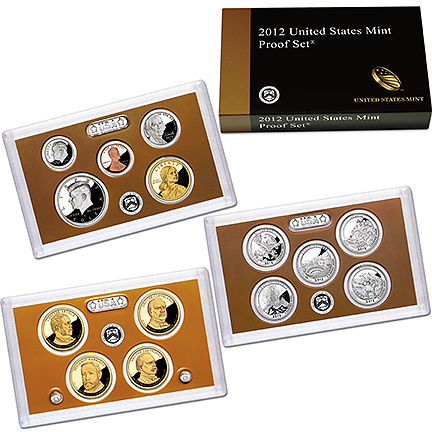 The United States Mint certifies that this silver proof set of current United States circulating coinage was produced and packaged at the United States Mint, San Francisco, California. Each coin bears the mintmark "S" designation of that facility. The half-dollar, quarter and dime are composed of coin silver, the nickel of cupro-nickel and the cent of copper-plated zinc. The finished coin with its frosted cameo image on a mirror-like field is carefully inspected, with the proof coins then being placed into transparent presentation cases. 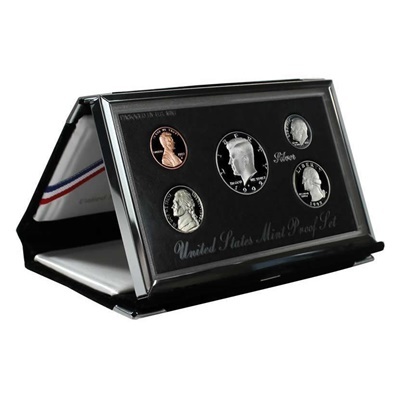 The Premier Silver Proof Set presentation case is specially designed to display the coins in an upright position. The coins are enclosed in the original hard plastic single protective case, and presented in a beautiful black velvet case; enclosed in the original US Mint outer box and accompanied by a certificate of authenticity.